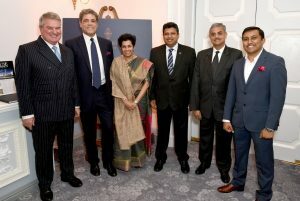 Managing Director Welcom Hotels Lanka Arun Pathak, Managing Director Graham Associates Chris Graham with Sri Lanka’s High Commissioner Manisha Gunasekera and other dignitaries at the launch of ITC Sapphire residences. 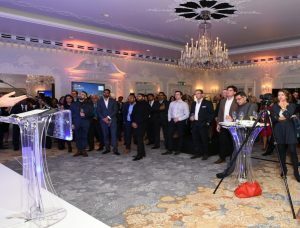 ITC Hotels unveiled their uber-luxury ‘Sapphire Residences’ located in the heart of Colombo, at London’s prestigious Dorchester Hotel on Wednesday 14 November 2018, to an international audience comprising real estate and investment communities, Sri Lankan diaspora, and the media. 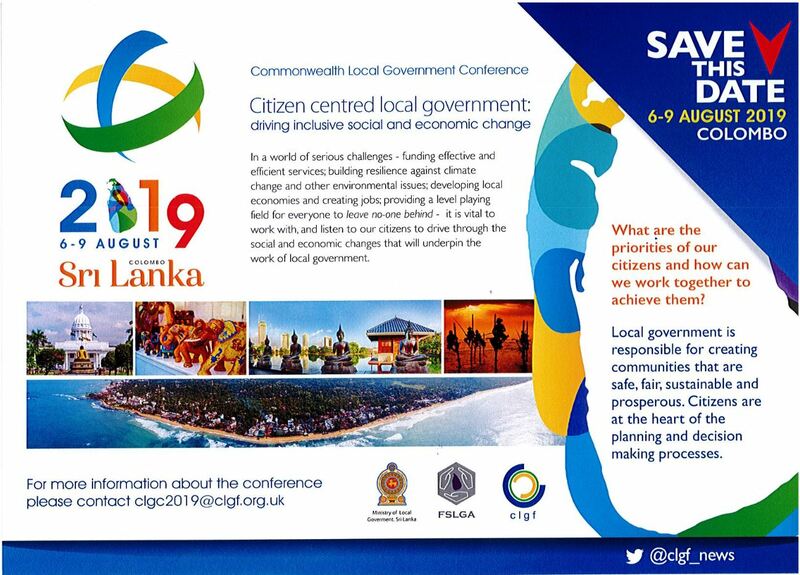 Sri Lanka’s High Commissioner to the United Kingdom Manisha Gunasekera was the chief guest at the event which was also supported by the High Commission. 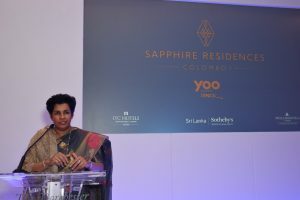 Welcom Hotels Lanka (Pvt) Ltd, a 100% subsidiary of ITC Ltd India, and Sotheby’s International Realty, unveiled the Sapphire Residences by Yoo Inspired by Starck. 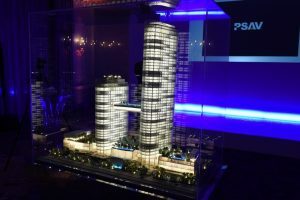 Scheduled for completion in 2020, the development comprises a majestic 224-metre tall residential complex, set alongside a 140-metre high hotel complex. 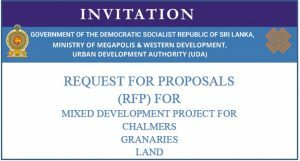 Located on the elegant Galle Face Green stretch in the ceremonial heart of Colombo, Sapphire Residencies is poised to redefine luxury vertical residential living in Sri Lanka, and in the region. 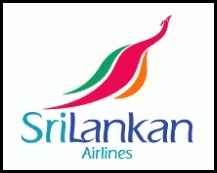 Managing Director, Welcom Hotels Lanka (Pvt.) 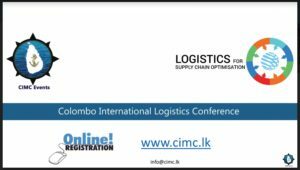 Ltd. Arun Pathak in his remarks stated that their objective was to develop a new icon for Sri Lanka on this ultra-prime Colombo coastline, which would gain recognition across the globe. 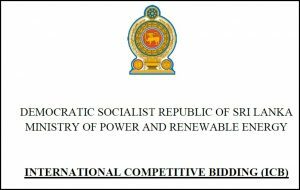 He also said that the Colombo capital high-end luxury residence prices are competitive compared to many other countries in Asia, and this would be a major selling point. 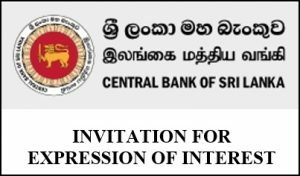 Founder YOO John Hitchcox; Asia Editor Oxford Business Group Patrick Cooke; Sri Lanka Sotheby’s International Realty Director Petar Petrovic; were among the dignitaries that attended the launch. 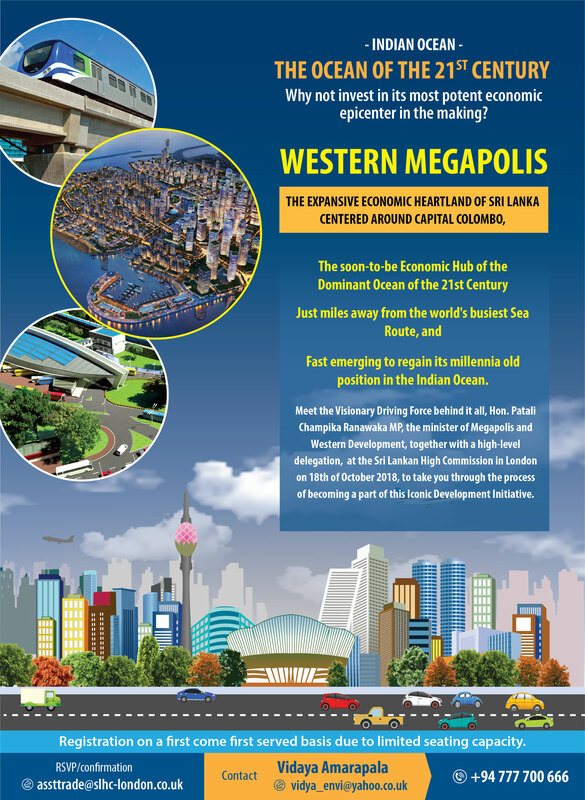 In Sri Lanka, property developers have now begun offering products on par with top global urban destinations. 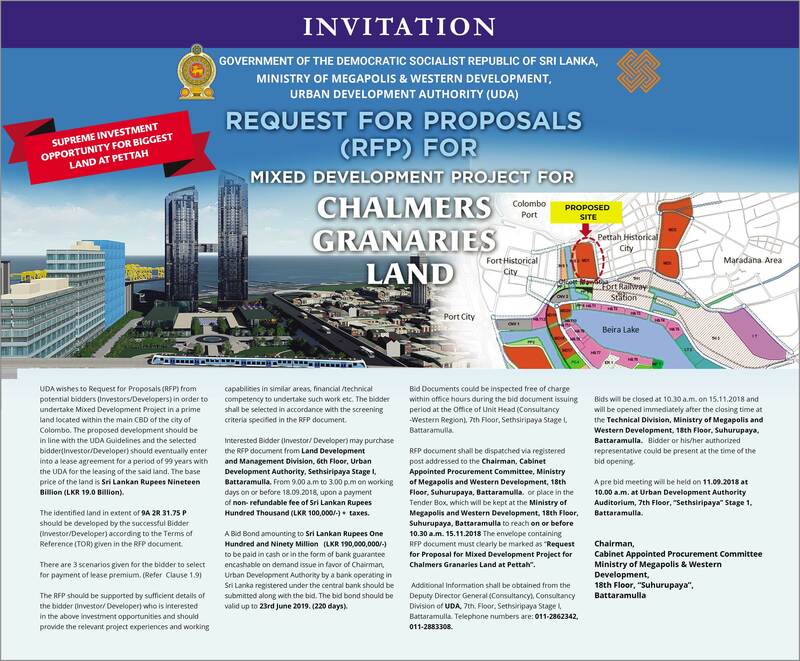 Accordingly, several top residential development brands such as: Shangri-La; The Ritz-Carlton; JW Marriot; Cinnamon Life; and Altair have come up across Colombo City, redefining urban living spaces and lifestyle, with more to come. 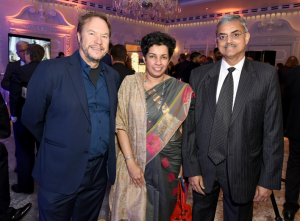 Founder of YOO John Hitchcox, High Commissioner Manisha Gunasekera and Managing Director Welcom Hotels Lanka Arun Pathak.